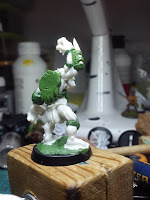 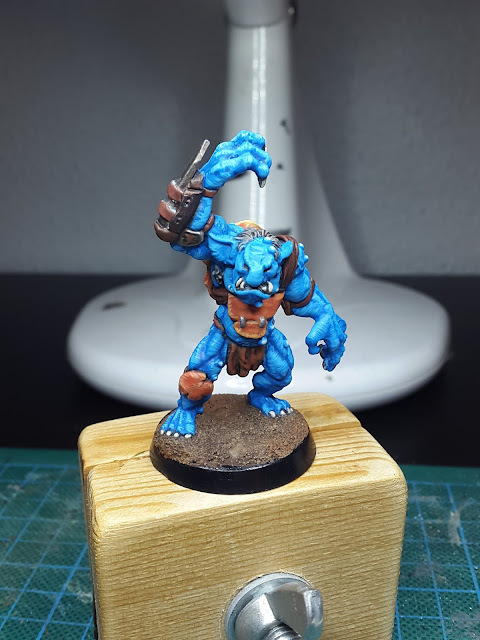 After playing some time with the skaven, I ended up buying the bloodbowl core box. 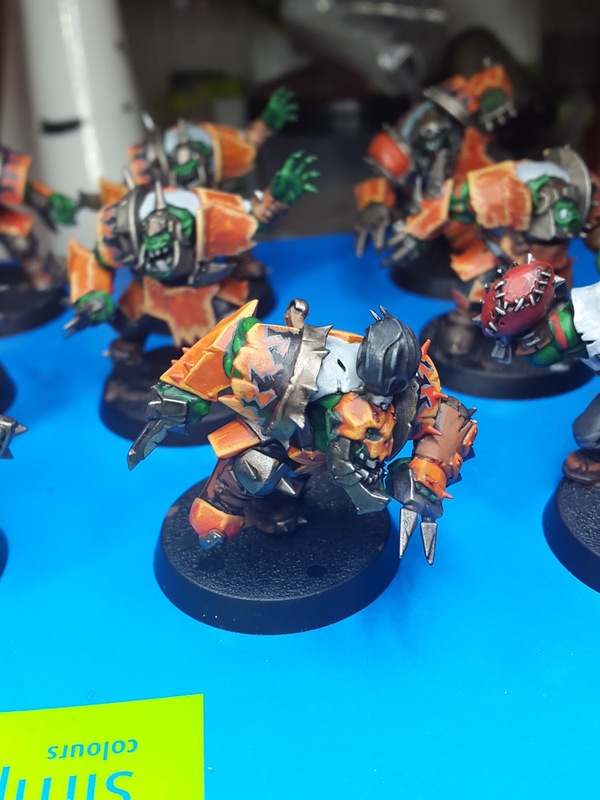 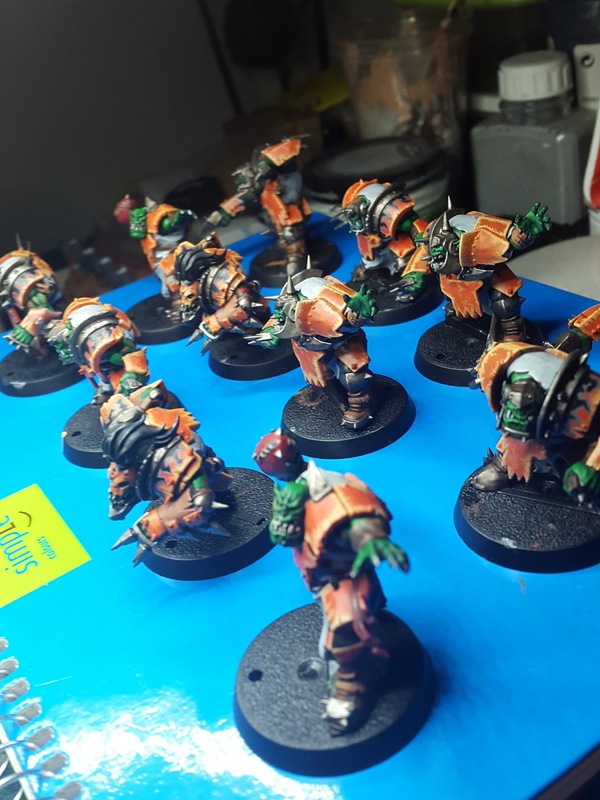 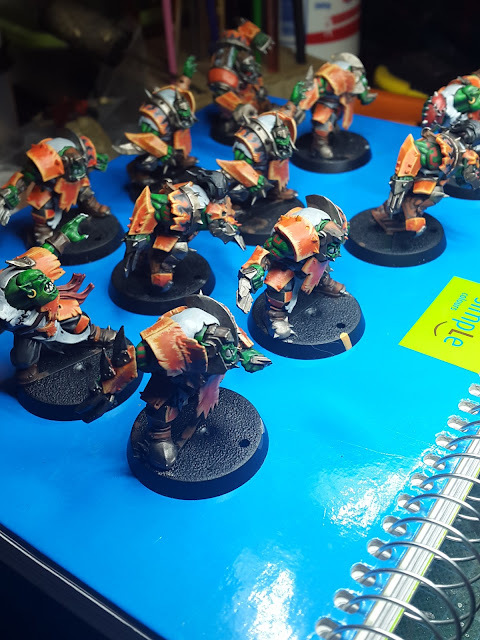 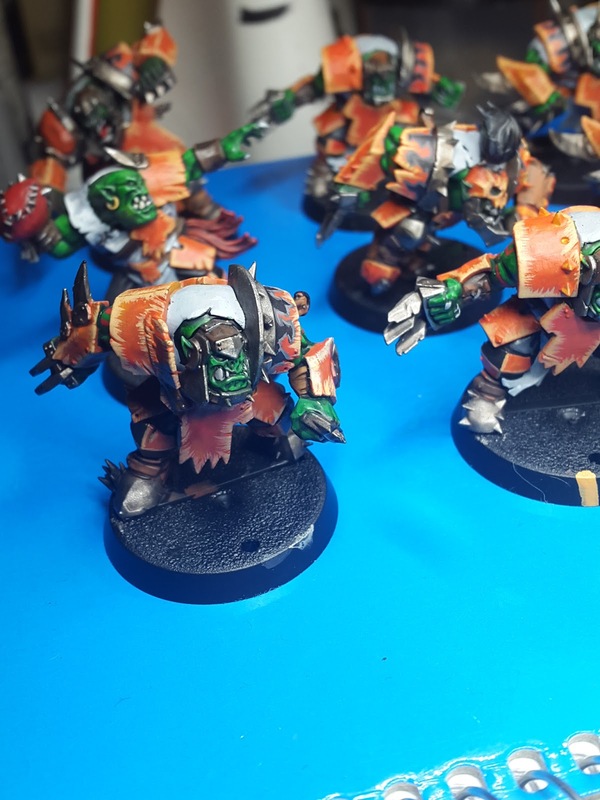 These are the orcs with a Zedek's weirdlads paintscheme. 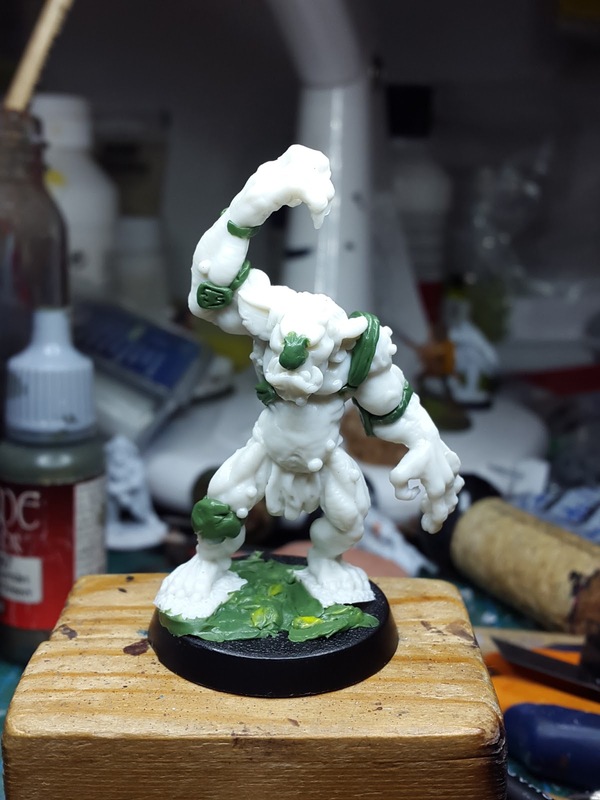 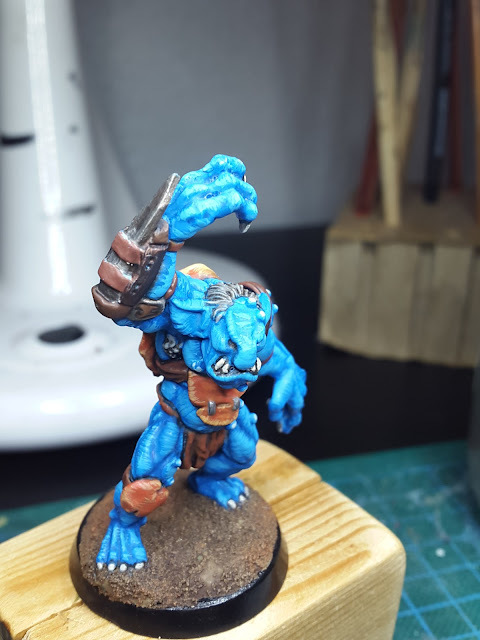 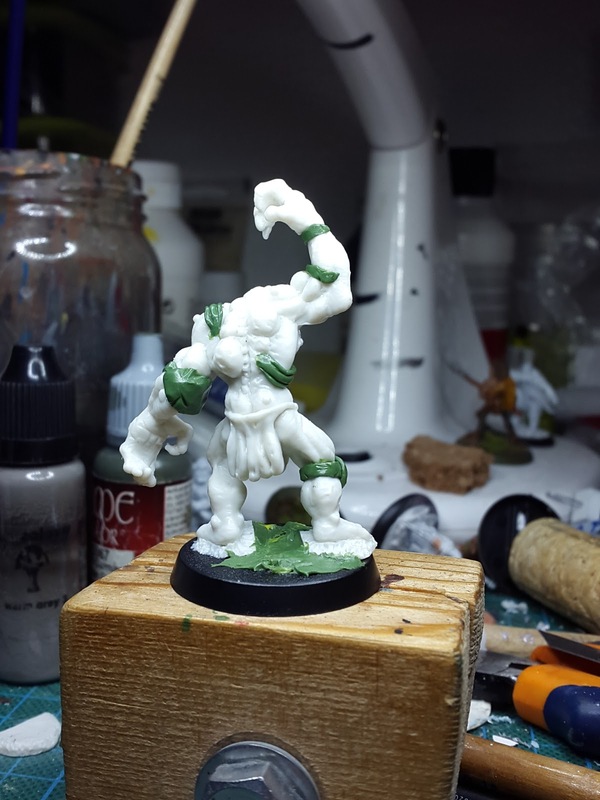 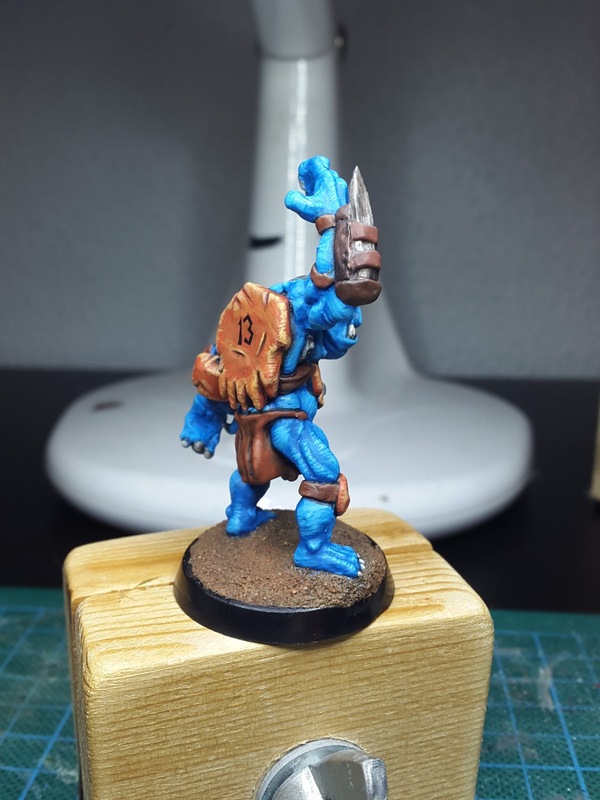 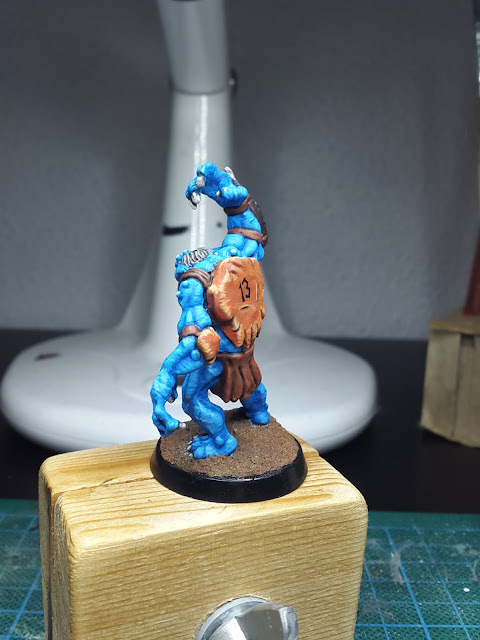 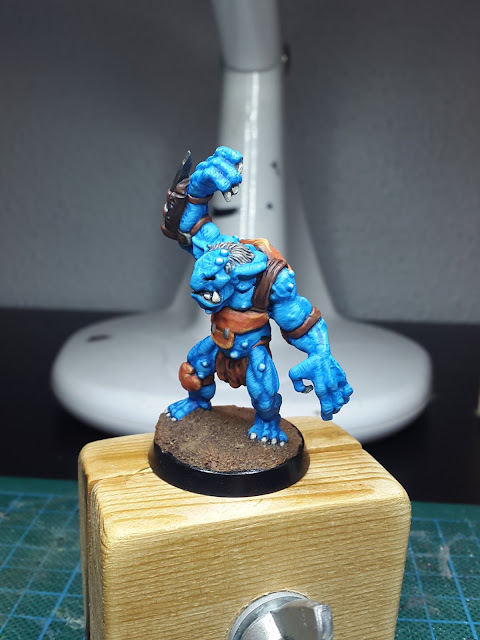 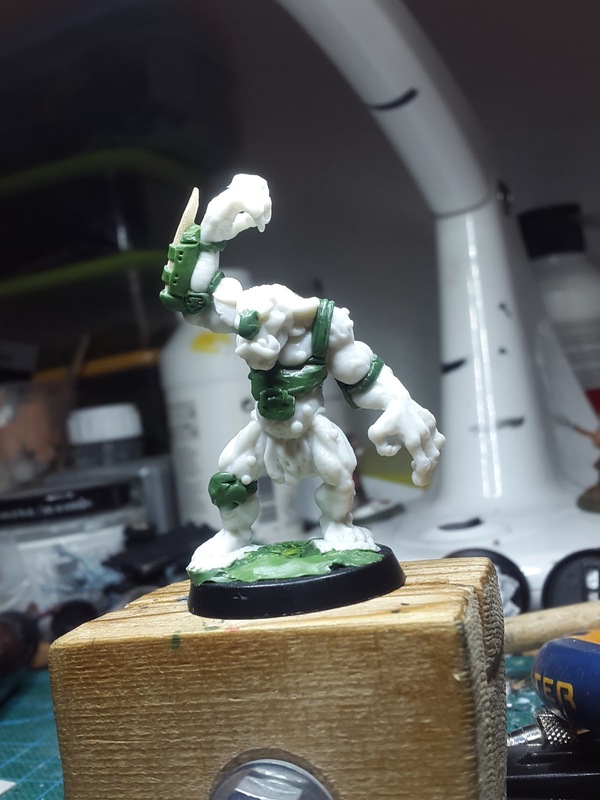 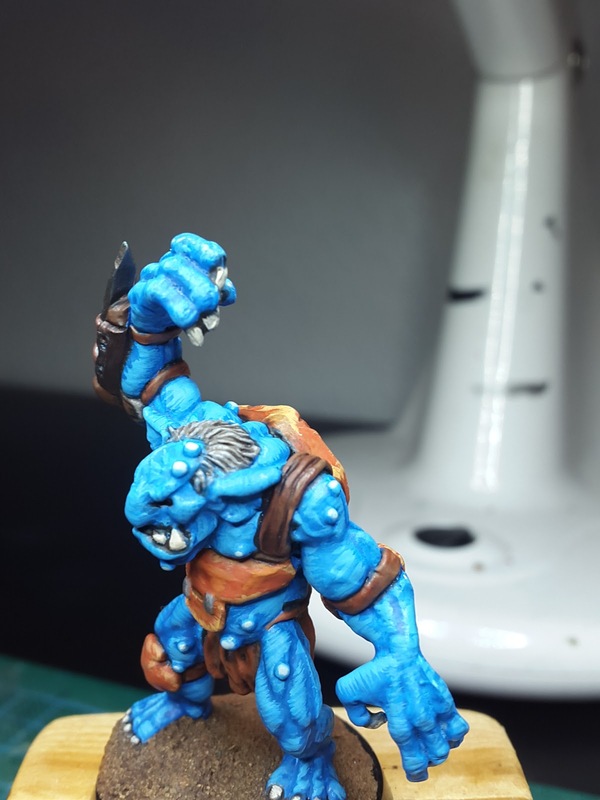 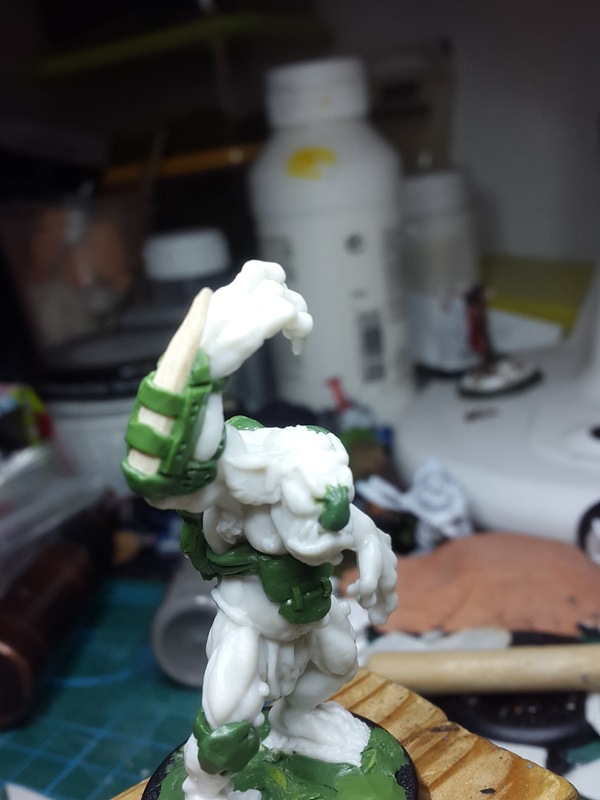 Reaper Bones Troll converted into a Bloodbowl goblin muncher. 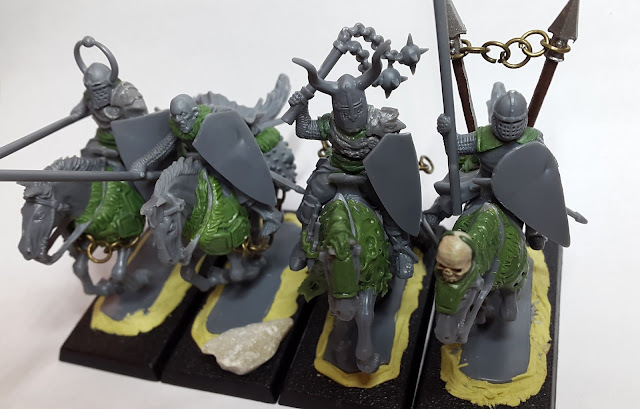 After more time than it should, I finally finished my 4 man Bloog Knight conversion thingy, an unholly mix and match of 4 or 5 plastic kits, and good amount of green stuff. Needing to pad out my Age of Sigmar/Death Grand Alliance army I decided to add a small unit of Ushatabi to serve as heavy hitters on a mostly cheap mooks army. By the dawn of twilight, on the orders of Count Eisen Neergaard the vargheists came. 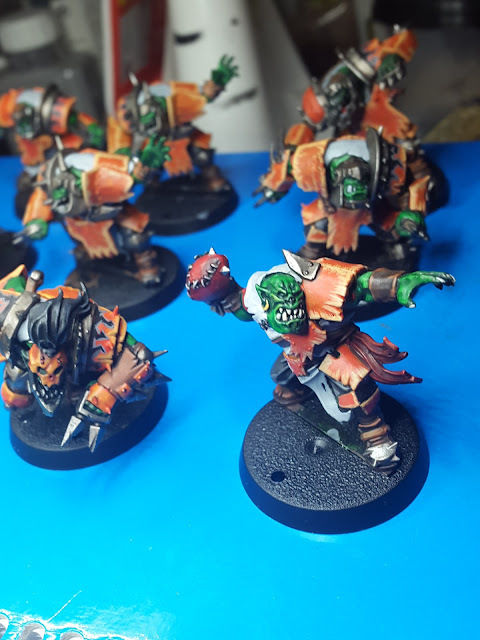 Hundreds of the bloodthirsty beasts fell from the skies making the holy grounds tremble as they awkwardly pound the floor in which the tribe of the Holy Rok settled. 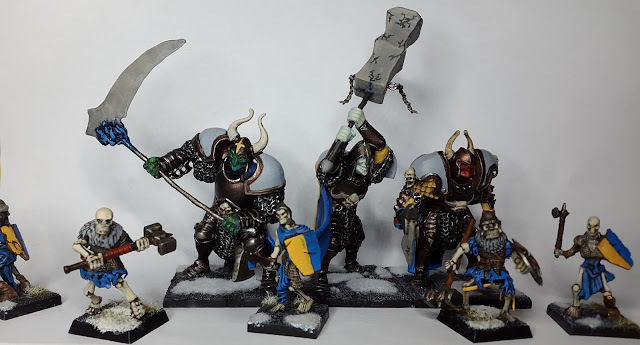 The souls of Orruks however kept bound to their worshiped place of power were not gone, and Nagash desiring them, conjured their essence into existence, but His grasp is not total as the force of the WAAAAAGH is strong enough to waver His commands. 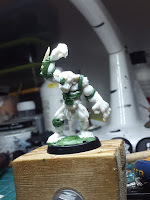 Led by the old tribe shamans now turned wraiths, they roam the land, terrorizing villages and fighting in Nagash armies and their kin alike.